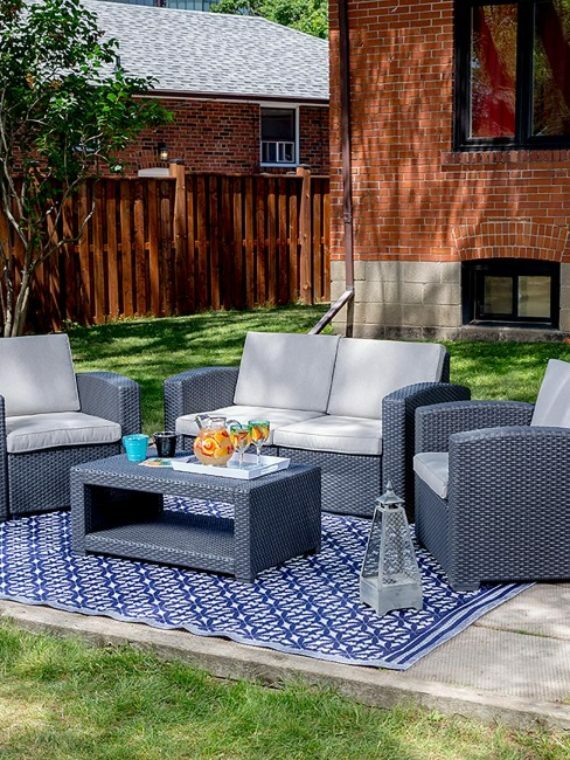 Bring a destination getaway to your own backyard with this Y007 Garden Set. 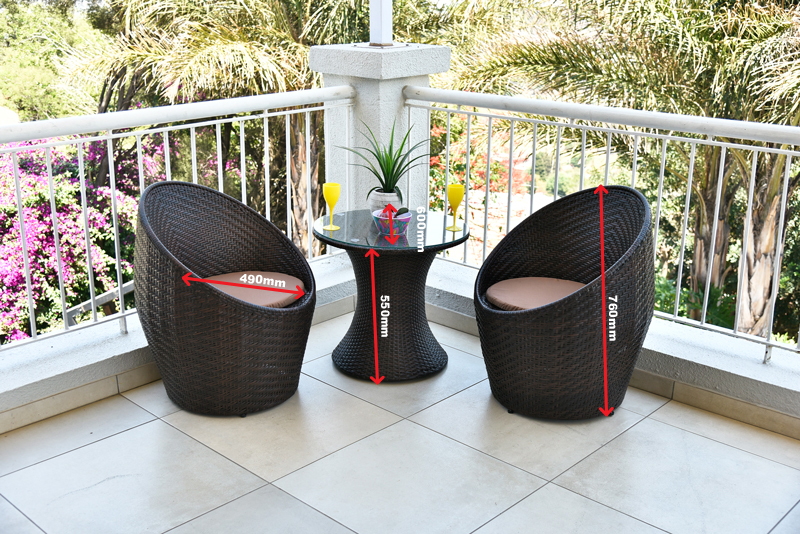 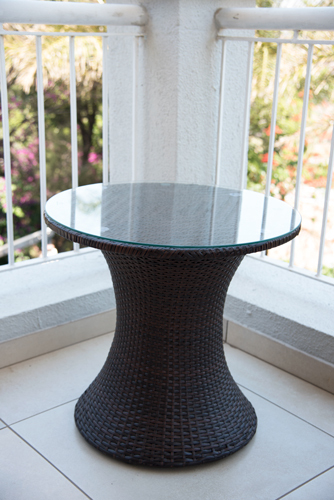 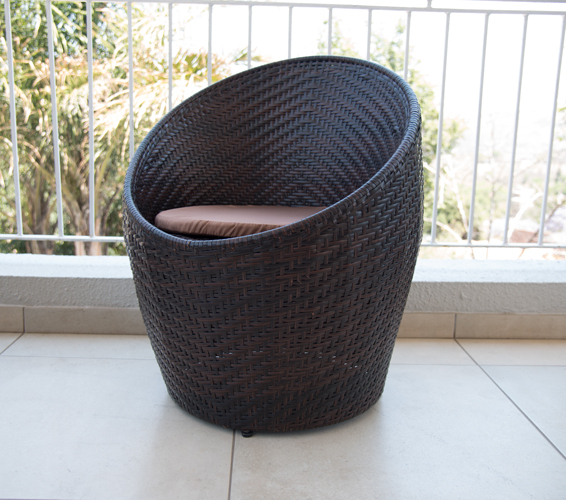 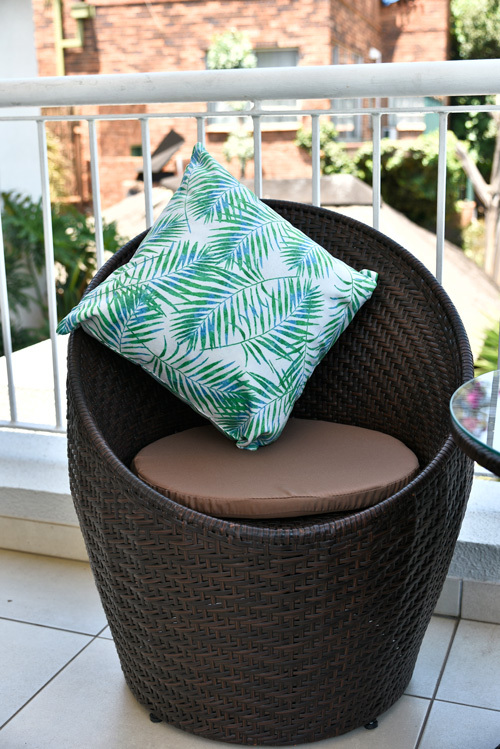 Use this set to create an inviting space next to the pool or in the garden – this contemporary outdoor wicker set comes with two chairs and a table, providing ample seating space. 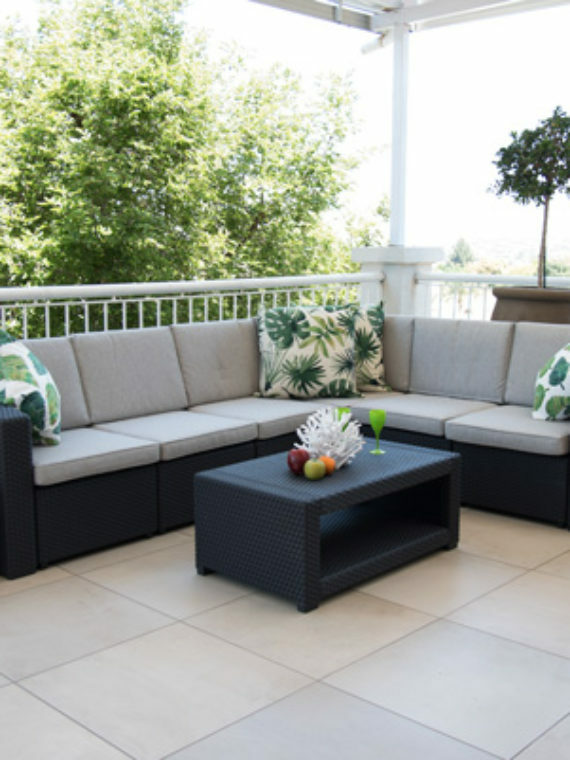 Constructed with an aluminum frame and PE wicker materials, this outdoor set is made to last. 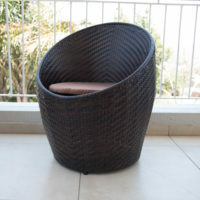 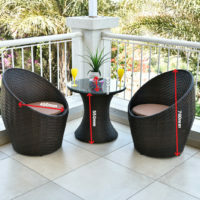 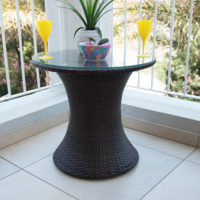 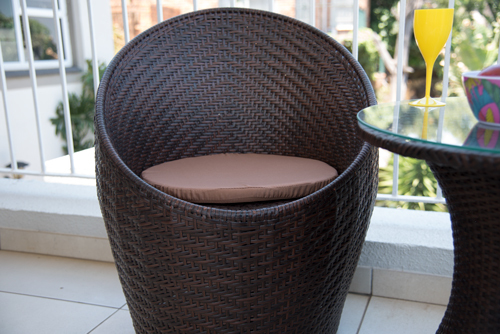 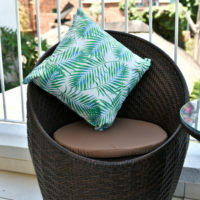 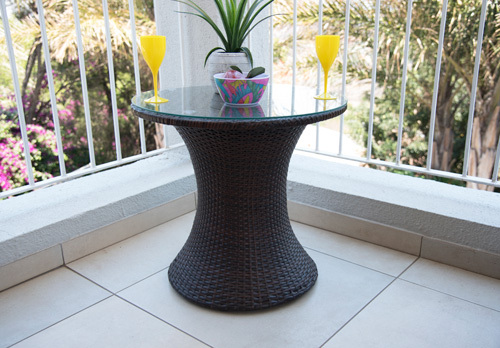 This attractive three-piece set incorporates a durable aluminum frame with PE Wicker materials. 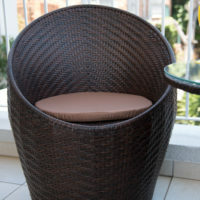 The chairs combine a sturdy, brown wicker frame with a comfortable, tan cushion that complements casual, contemporary or transitional-style decor. 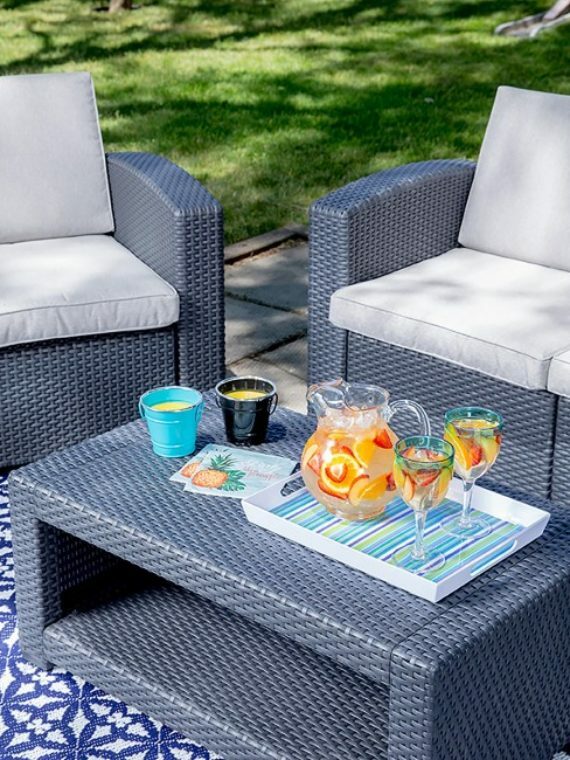 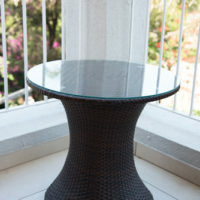 The chairs have a low-back chair height and a tightly-woven design that is ideal for entertaining guests in a backyard or on an outdoor patio.